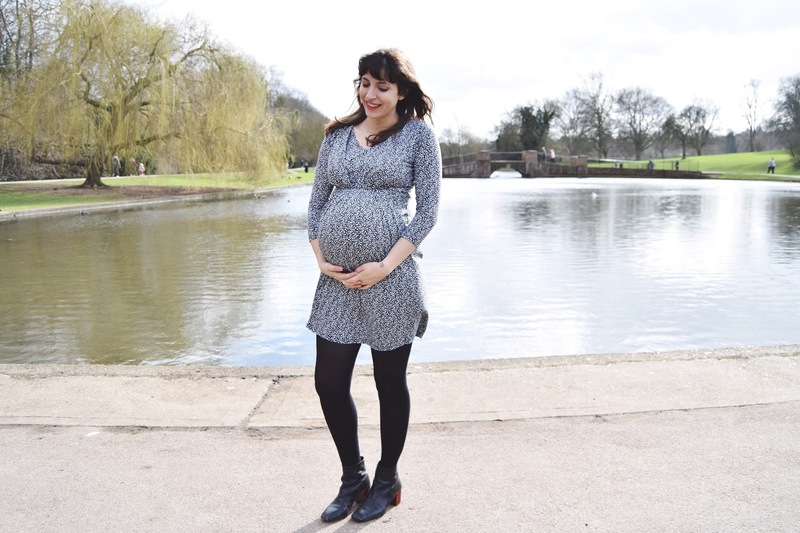 Throughout my pregnancy with Ivy, I could not have felt more confident about my personal style. 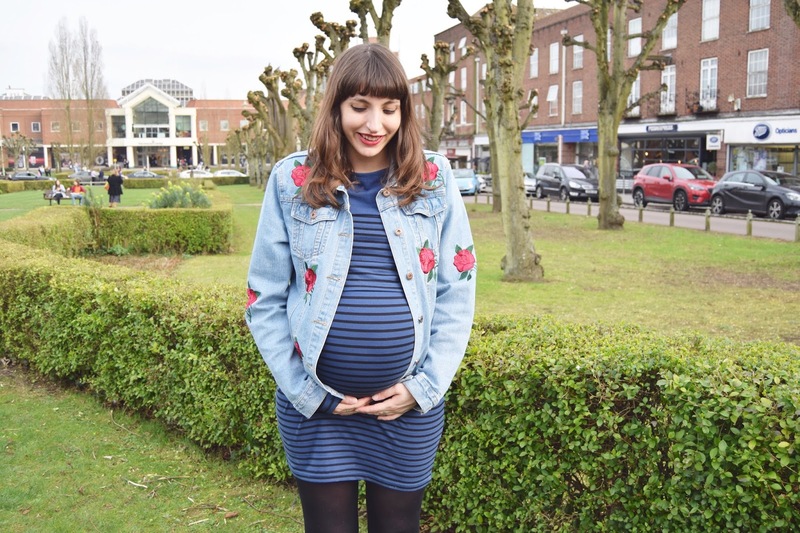 I was still working for Topshop and Two Shoes, One Pair was on the rapid rise and I felt excited everyday to wake up and dress my gorgeous bump despite not buying any maternity wear. This time around, however, I could not have felt more different with my style and self-confidence hitting an all time low. 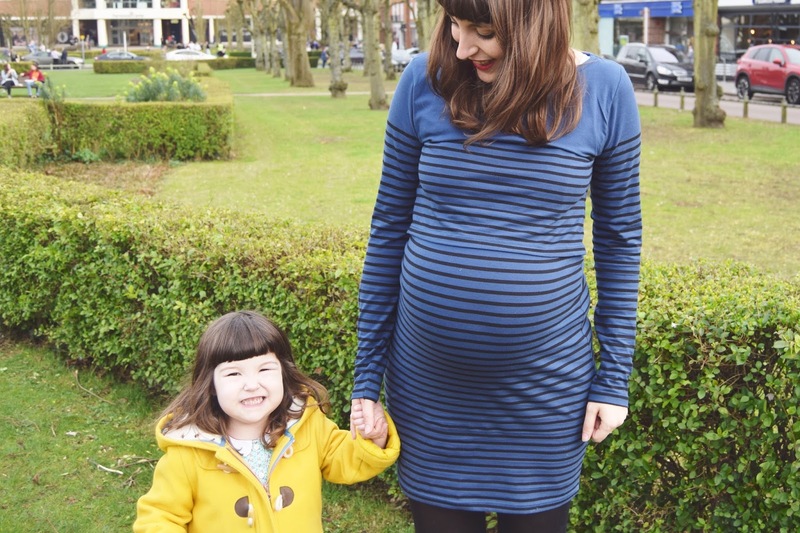 I'd felt awful throughout my first trimester with nausea and my second was spent solidly in hospital with Ivy so by the time I'd hit my third on Christmas Day, I realised I hadn't documented any pictures of my baby boy bump - and I felt even worse. So my only, small New Years resolution was to try and regain even just a slither of my old self before our little bundle arrived. I'd finally been given the chance to settle into our new lifestyle which in turn allowed me to take some time to settle into all kinds of style! and with a big helping hand from Jojo Maman Bebe, I finally feel a bit more comfortable in my own skin (and clothes) just in time. 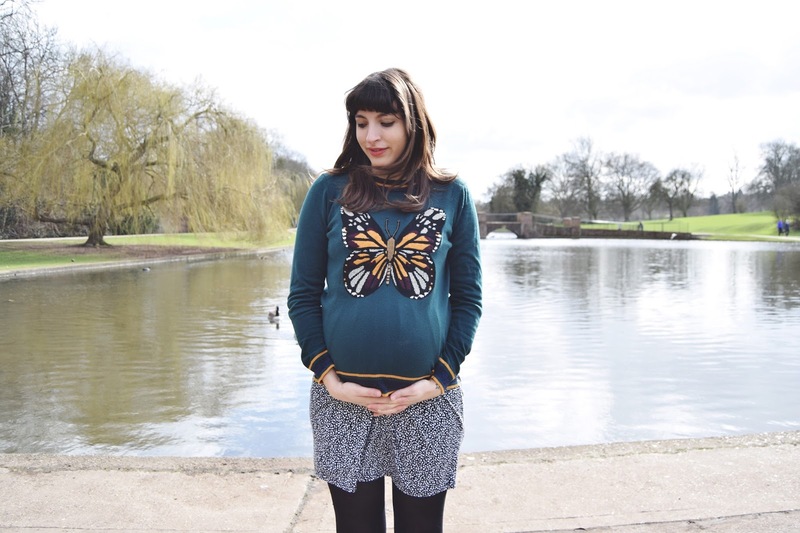 Of course, dressing for the third trimester comes with all kinds of thought processes. 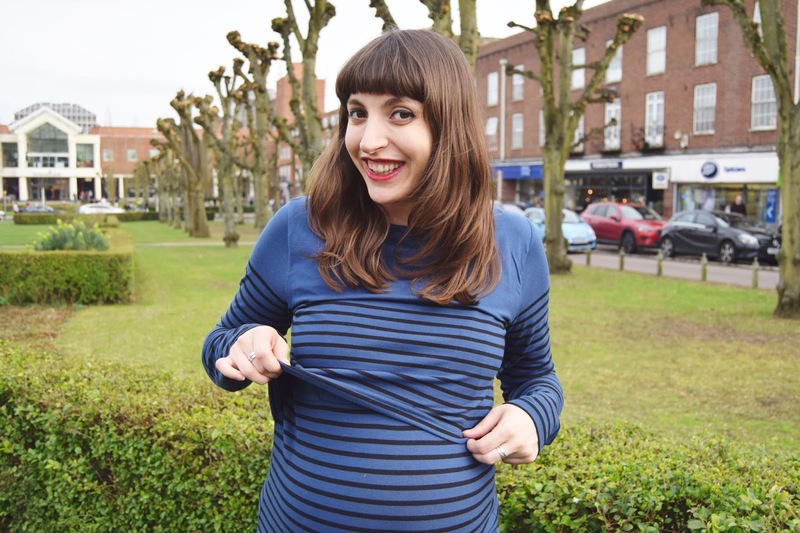 Despite being at your 'biggest' at this point, it's maybe a bit late in the game to start buying brand new maternity wear as you're unlikely to get your money's worth so I wanted to make sure any new items that were added to my wardrobe were suitable for bump and breastfeeding. 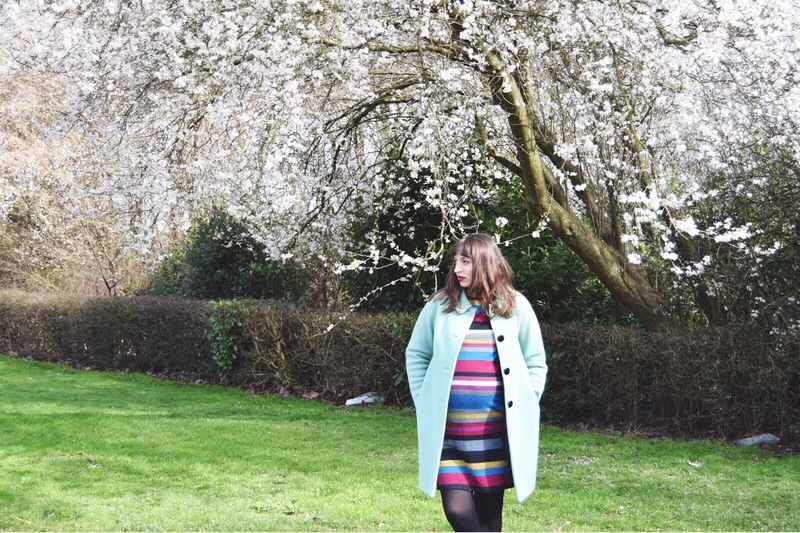 I chose 2 feeding-friendly dresses - one striped bodycon number* which looks very much like something I would buy even if I wasn't pregnant which was perfect for everyday and then a gorgeous tunic dress* as an option for nicer occasions. Both of these have such subtle access points they work beautifully through this transition stage and will look amazing before and after birth. I've popped statement jumpers over them for winter warmth but cannot wait to show them off in all their glory throughout spring. 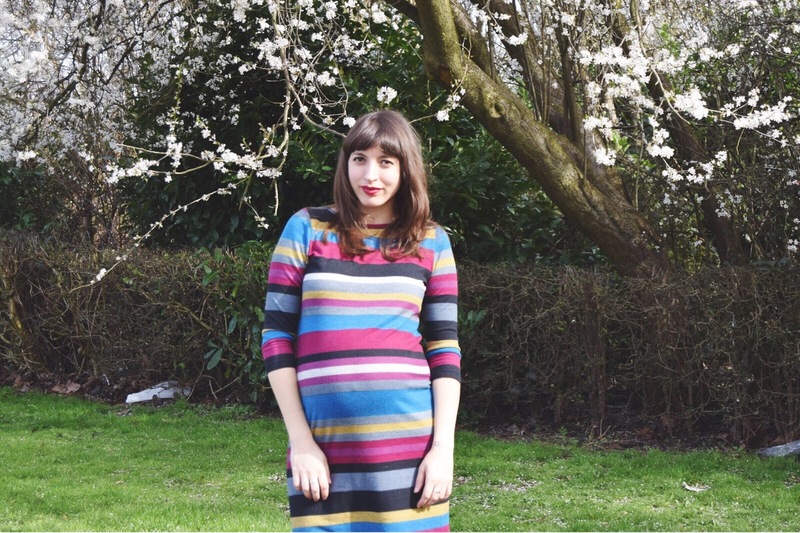 The other key thing is always comfort - which both of these dresses do in abundance but not quite as much as this thin-knit stripey dress which has been my hero piece throughout my entire pregnancy! 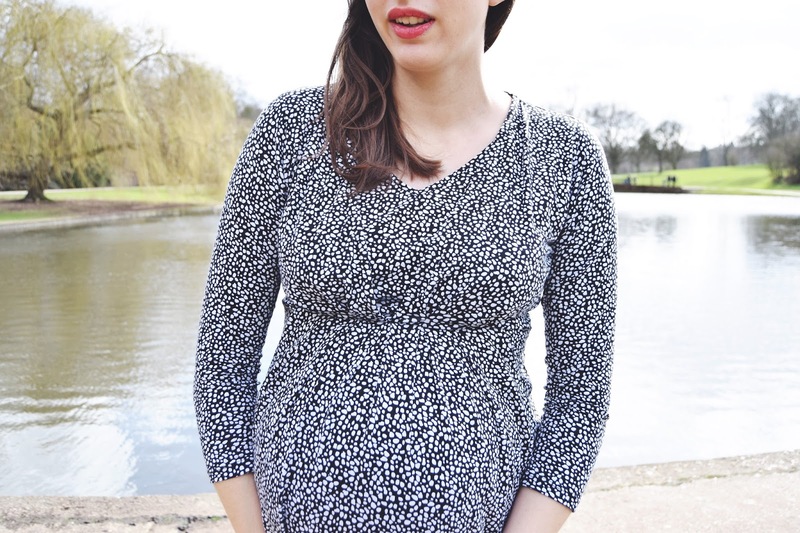 This may not be great for breastfeeding in but it has enough shape to look flattering at every stage of bump-to-baby so will certainly be kept hold of to come back to next Autumn. What were your pregnancy hero pieces? 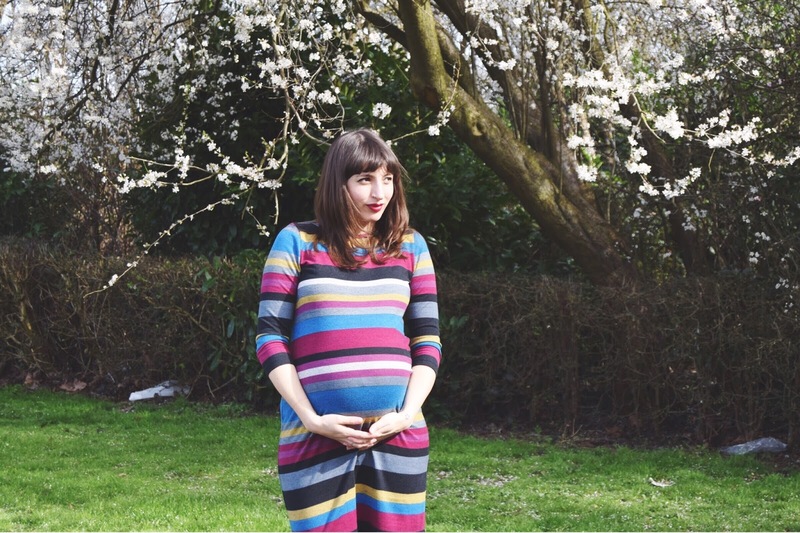 Did you find it easy or difficult to #StyleTheBump? Keep up with my final few outfits (I hope!) over on instagram at @amyrosewatts and don't forget to check out Jojo Maman Bebe's new summer bits if, like me, you need a little inspiration!